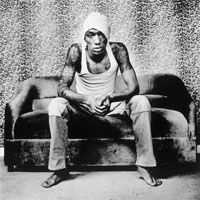 Tricky is an English rapper, producer and musician hailing from Bristol. Known for his inventive mixture of rock, hip-hop, and alternative - often umbrellaed as trip-hop - he's enjoyed a decent amount of success in the UK (and a fair bit overseas, too), mostly thanks to his 1995 debut album 'Maxinquaye' - which hit #3 in the charts and was nominated for the Mercury Prize. Sorry, no Tricky merchandise or posters currently listed here. Keep checking back, new items are added daily!